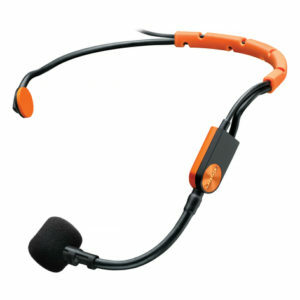 Samson Airline77 QE Fitness Headset Channels K1-K3. Order your replacement Samson headset here. 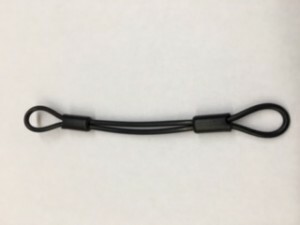 This is for the headset only, as seen in the picture. Make sure to choose your correct channel, found on the transmitter. Your replacement headset will come with 1 rubber sweat protector, and 1 black windscreen. The QE headset has a 2 year warranty through Samson that starts on the date of purchase. You can order extra windscreens separately. I suggest purchasing a headset accessory pack with every headset that you purchase. 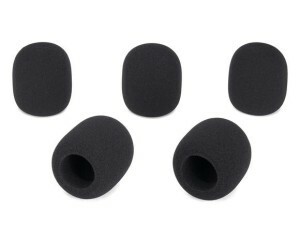 The headset accessory pack comes with one 5 pack of windscreens, and 2 headset adjuster straps. The AH1 Headset Transmitter is designed to go around the back of your head rather than over the top. This allows the transmitter to be attached directly to the headband, out of the way and completely unobtrusive, while being comfortable and secure during performances. The AH1 offers 14 hours of operation on a single AAA battery. 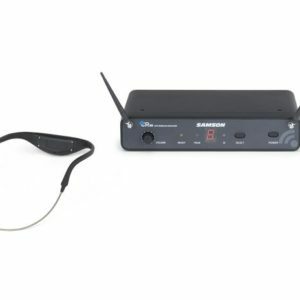 For the AirLine 77 Fitness Headset system, the AH1 Headset Transmitter features Samson‘s Qe condenser microphone element. The Qe is designed with a unidirectional microphone and cardioid pickup pattern that rejects feedback. It’s ideal for group fitness instructors who need a durable headset microphone that will remain in place despite repetitious movement.